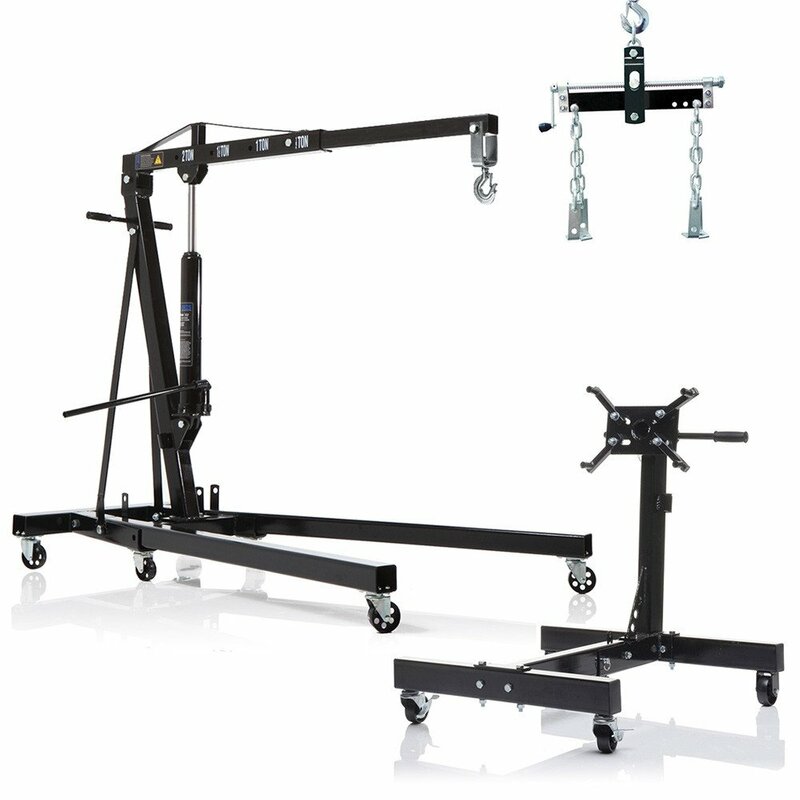 This all-in-one professional lifting and hoisting set is ideal for lifting an engine or gearbox from any vehicle. Regardless of whether you’re a professional mechanic or a keen amateur this great value bundle is a perfect addition to your workspace. 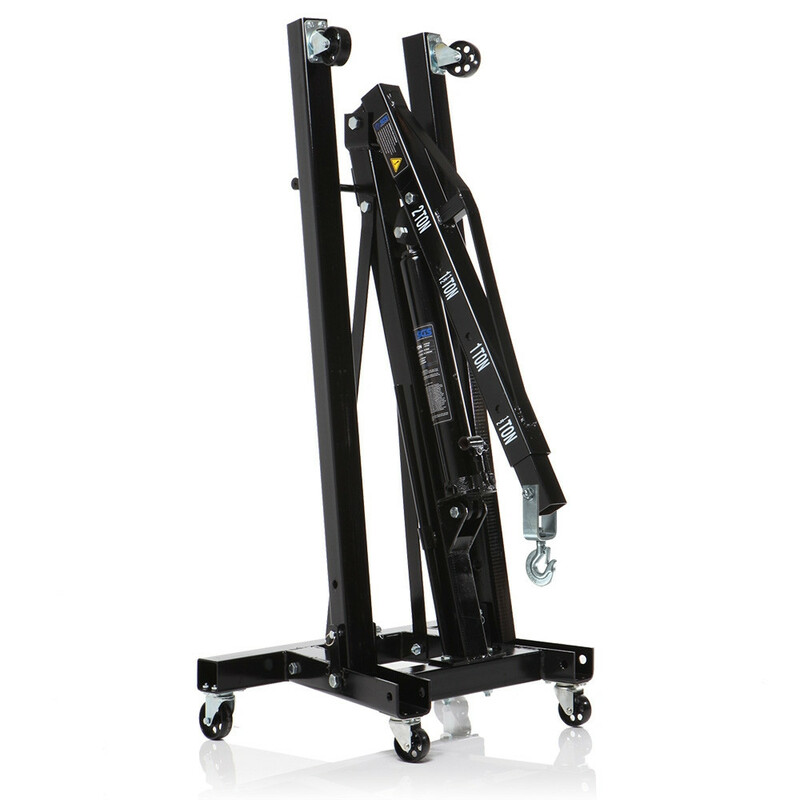 With a patented double pump piston design and a sturdy full size frame, the crane is suitable for larger vehicles like Land Rovers and vans, as well as standard cars. 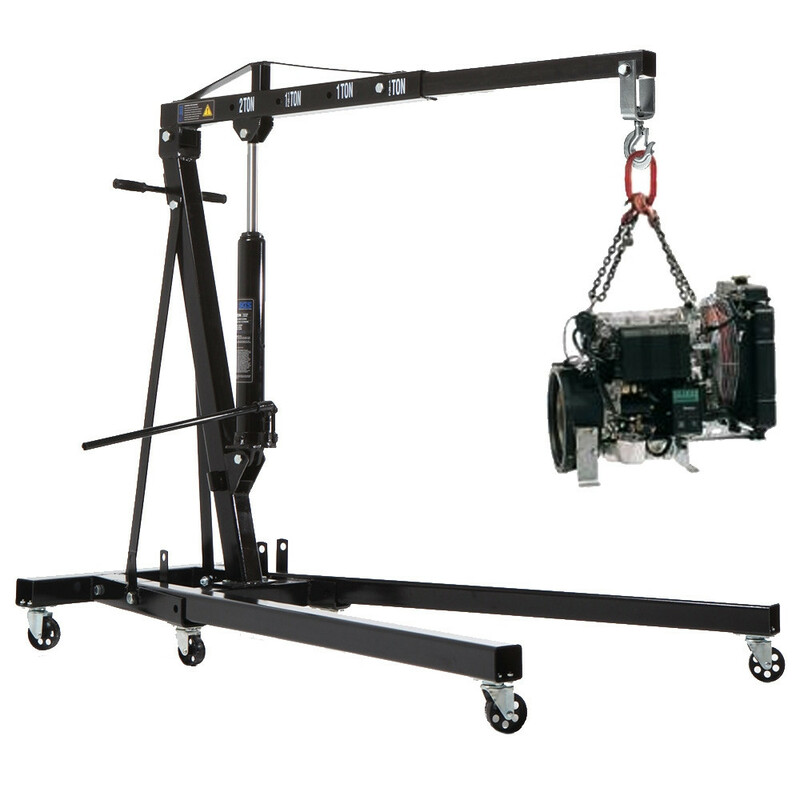 With an impressive lifting range 25-2450mm and a reach of 1220mm you’ll have no problem lifting even trickier engines out of its bay. This crane has a maximum lifting capacity of 2000kg (500kg when the job is fully extended). The crane’s integrated hydraulic ram delivers a maximum of 8 tons pushing force and has 4 easy select job positions. 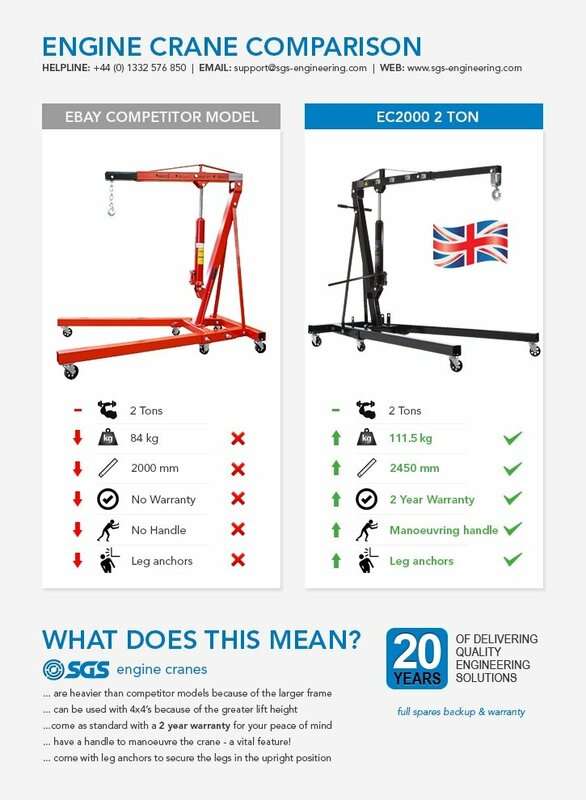 Set on four ultra reinforced, steel caster wheels, the SGS professional engine crane is easy to manoeuvre and durable enough for tougher jobs. 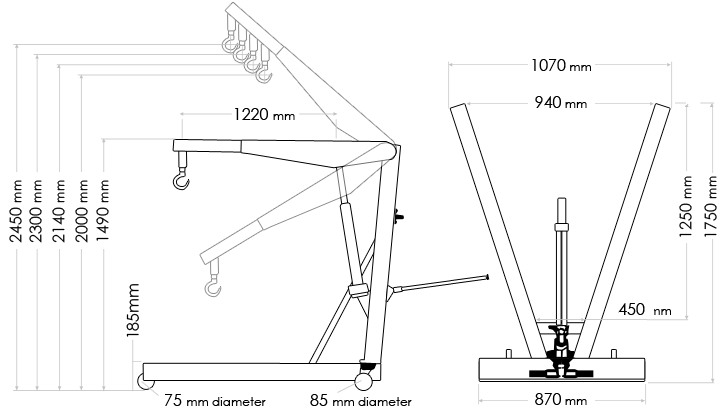 The footprint of the crane when folded up is 850mm x 550mm x 1620mm. 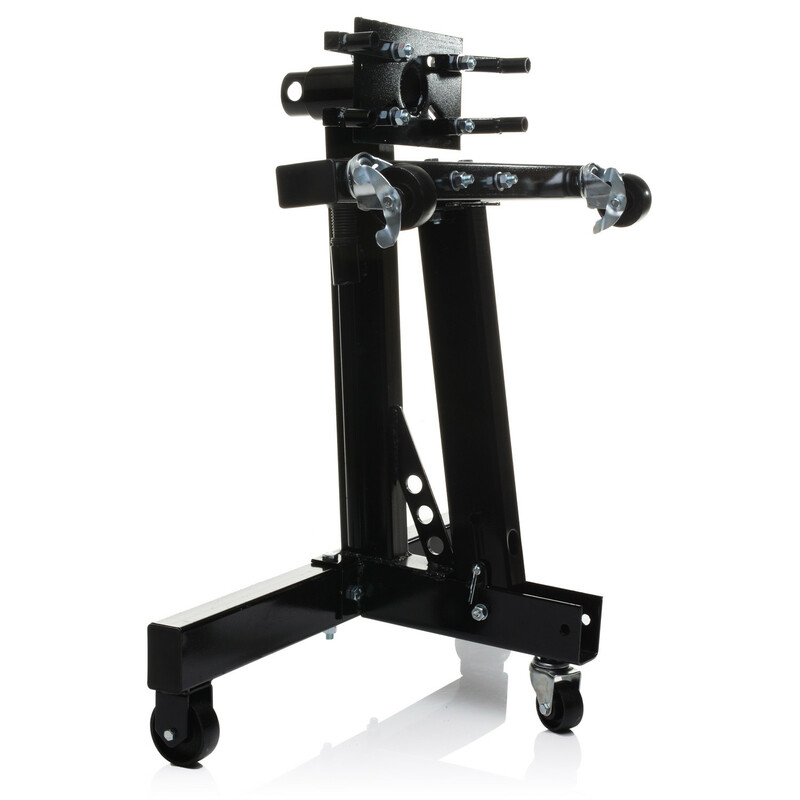 Perfect for a huge variety of engines and gearboxes, this professional grade stand is a worth addition to any garage. 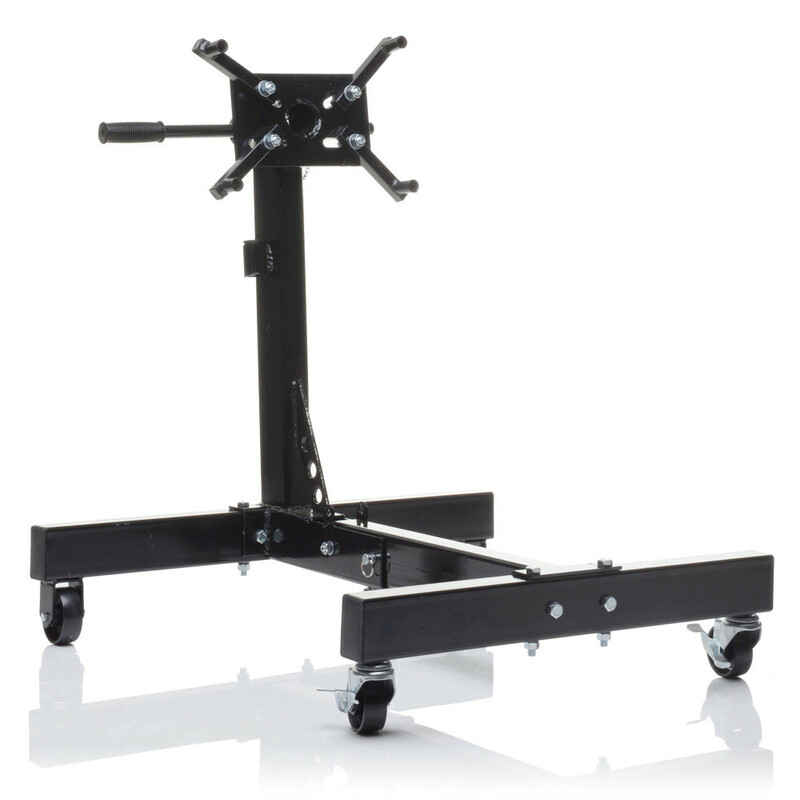 The extra large, reinforced chassis gives you a sturdy base to work from. 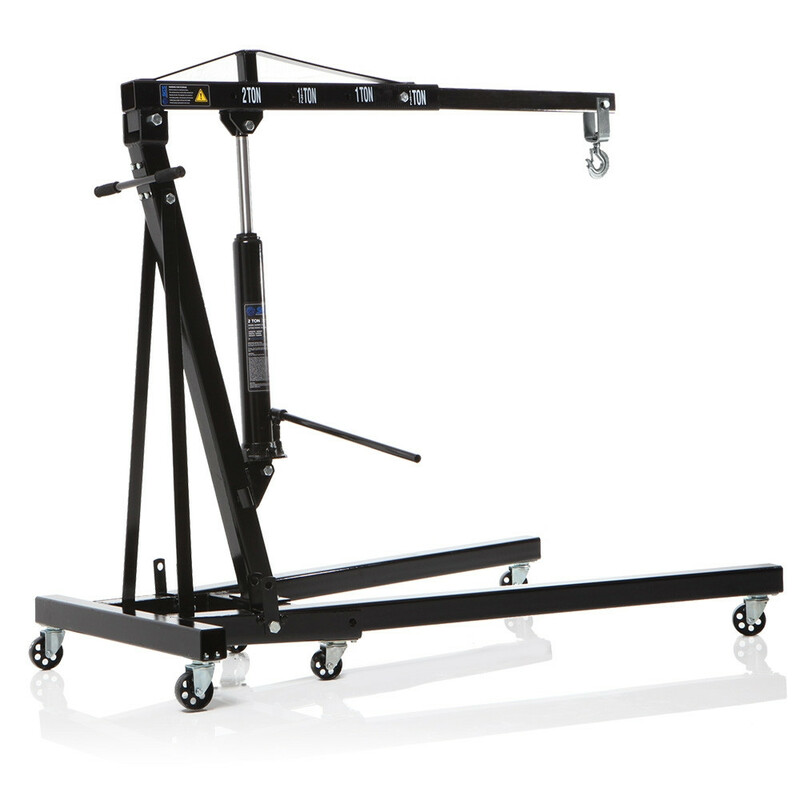 The stand folds away, saving you valuable workshop space. 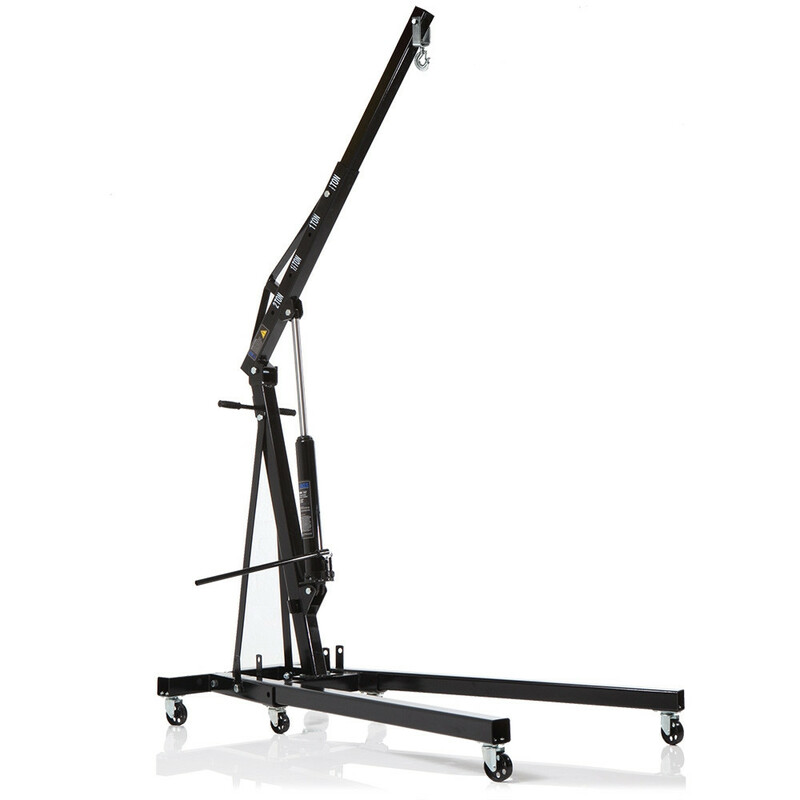 Designed for versatility and convenience, the stand has a 360° swivel head and adjustable mounting arms for impressive accessibility to all parts of the engine. 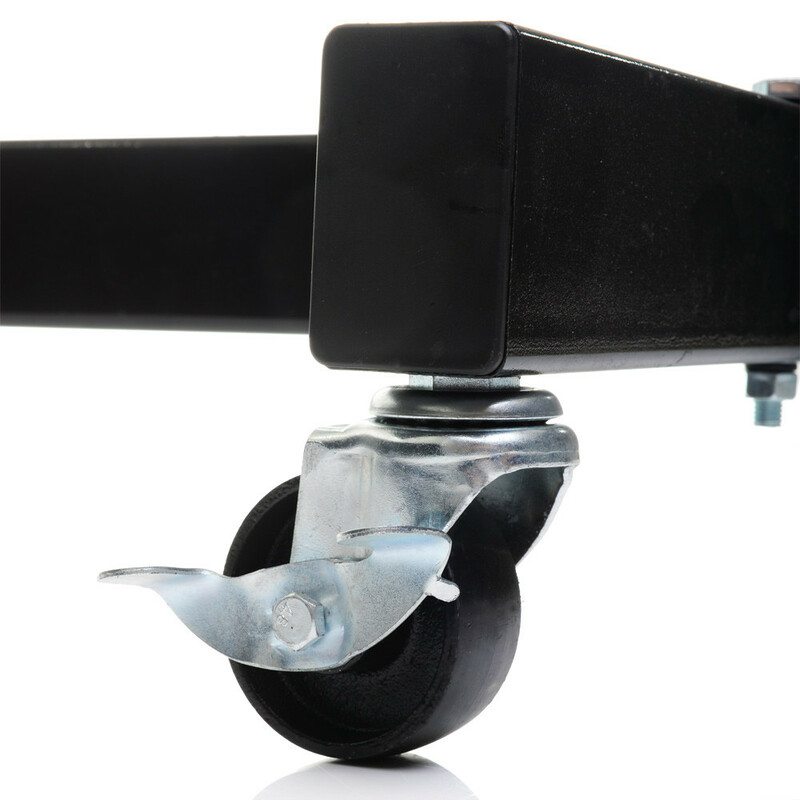 Each caster wheel has an independent brake for enhanced stability and safety. The internal diameter of the yoke tube is 60mm. 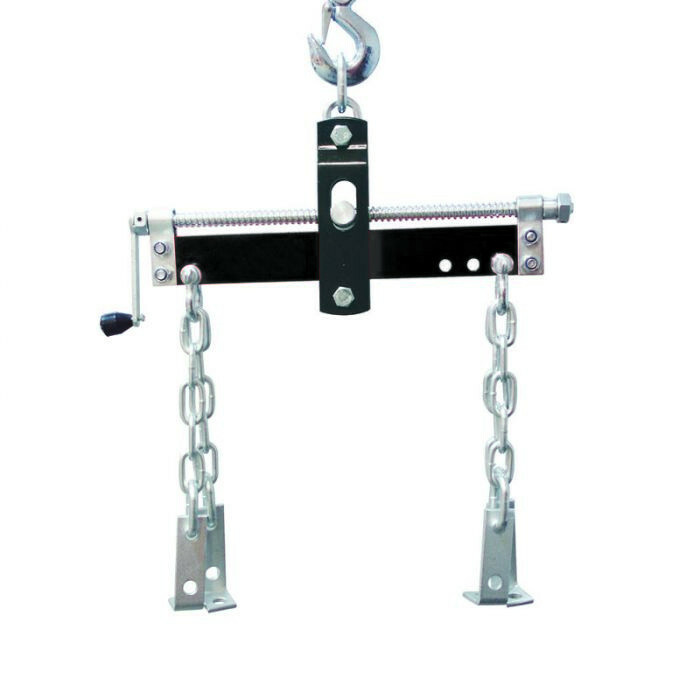 This essential lifting accessory is made from a tough steel construction and allows you to balance an uneven load into a sensible working position. 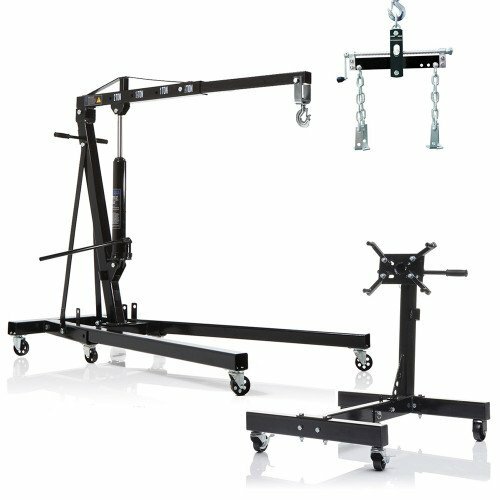 Complete with two chains and brackets to mount the engine, you’ll have everything you need to lift, remove and replace an engine (or similar machinery). NOTE: The leveller colour may vary from the black shown in the picture. 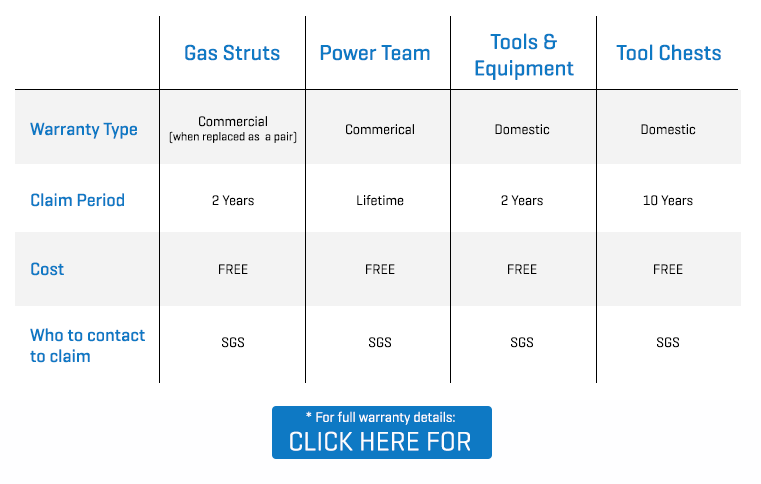 Full parts and servicing are available for all components, directly from SGS. 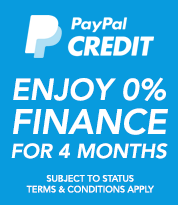 All items are covered by a 2 year warranty and European CE marked for safety. The bundle is shipped in multiple boxes and the courier may require help unloading the various items. Brilliant company I can’t find a fault. I received this set yesterday so haven't used it yet. However I am very impressed by the quality and the level of detailed engineering that has gone into each item. 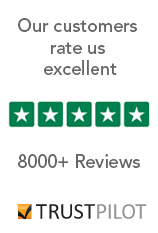 Each item fits together well, the folding mechanisms are very straightforward and the overall impression is that these will give years of service. One thing that I like especially is that on the engine crane base there are lugs which allow the legs to be bolted up when folded. Now SGS could have just supplied a bungee or simple clip, but either would fail quickly but it would be a cheap solution. Instead there are 4 plates in the kit which use are set such that when you pull the bolts to fold the legs the plates allow the bolts to be reinstalled locking the legs up safely, and you won't lose the bolts.